The Backstory: ‘Paleo-nerds’ collided at Seattle’s Burke Museum, resulting in friendship — and 2 science books featuring Troll’s quirky art. I MET PALEONTOLOGIST Kirk Johnson at the Burke Museum on the University of Washington campus in 1994 at a reception for my “Planet Ocean” exhibit. Kirk had been a longtime fan of my fish-themed T-shirt line and was delighted to find that I was also a “paleo-nerd.” We hit it off and soon made plans to exhibit “Planet Ocean” at the Denver Museum of Nature & Science, where Kirk was working at the time. The show opened there in 1999, and soon we decided to produce our own collaborative book, “Cruisin’ the Fossil Freeway.” Over the course of a few years, we traveled 5,000 miles in the Rocky Mountain states, exploring fossil sites, having many an adventure and collecting tales from other fossil fanatics. In 2009, the Burke Museum opened an exhibit based on that book. As we added new elements to the 2009 Burke exhibit, we realized we were starting another book project, this one based on the fossils of the West Coast: “Cruisin’ the Fossil Coastline.” We received a joint Guggenheim fellowship to support our extensive travel the past decade, working on the book. 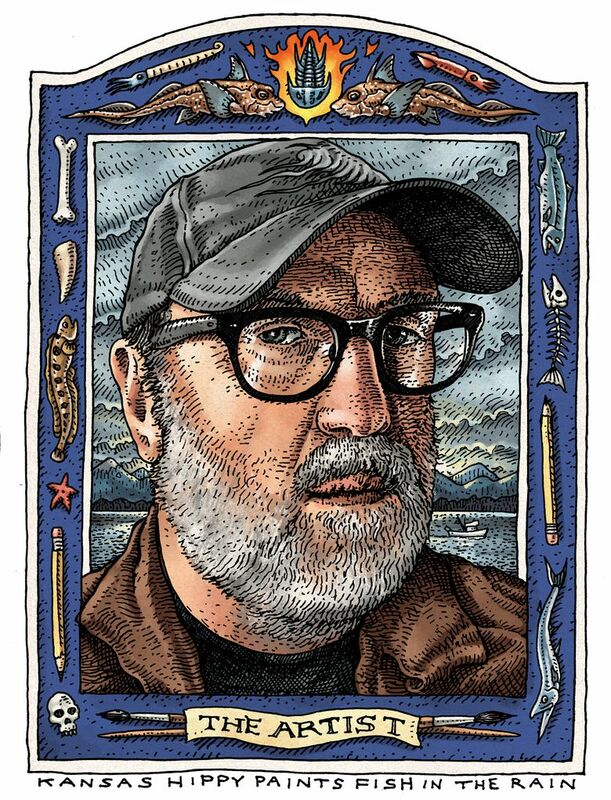 I have spent 36 years in the rainswept town of Ketchikan, Alaska, cranking out a unique brand of fish-centric art. With a scientific eye for detail and a penchant for the odd and profoundly weird, I’ve produced work that has been seen in 10 books, plus magazines; museum exhibits; and, especially, on offbeat T-shirts. My art career began at the age of 4, when I picked up my first crayons and started drawing dinosaurs, and I’ve been at it ever since. Raised as an Air Force brat in a family of six kids, I moved with my family from base to base, and state to state, every few years. The fact that four of the six siblings call Alaska home says a lot about the powerful pull of the 49th state. Alaska’s scenic grandeur, wildlife and culture have profoundly shaped the course of my aesthetic sensibility. 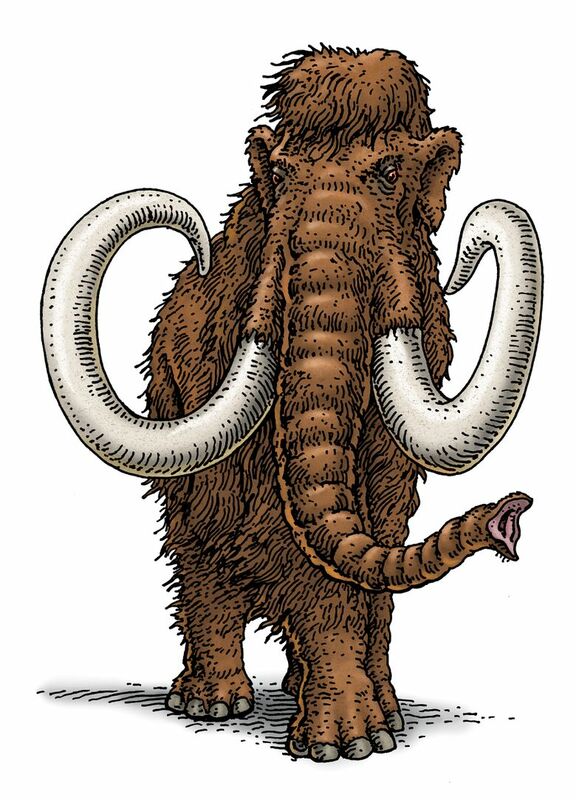 Ray Troll, a science-inspired artist, has illustrated 10 books. His art has appeared on more than 2 million T-shirts. He and his wife, Michelle, own and operate the Soho Coho Gallery in Ketchikan, Alaska. Ray plays in a rock band, The Ratfish Wranglers, which has recorded four albums. Check out his website at trollart.com.